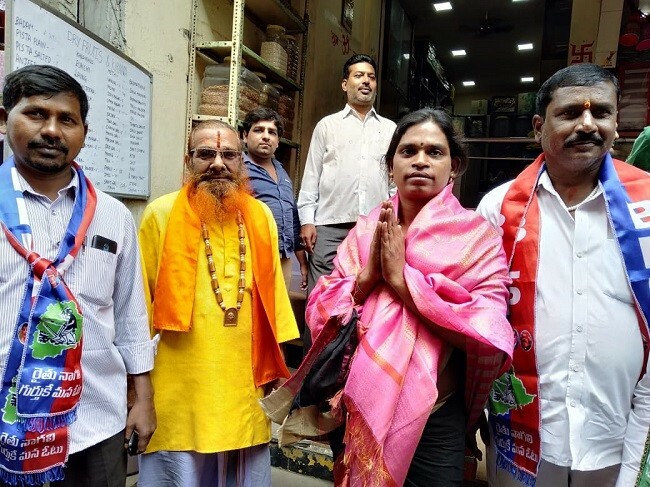 Chandramukhi Muvvala came into national media glare after she decided to contest as an MLA candidate in Hyderabad and became the first transgender woman in India to contest in any election. Just a day after she announced her candidature and started campaigning, she was allegedly kidnapped from her house in Banjara Hills on November 27. After 36 hours in captivity, she returned home in a drowsy state on the evening of November 28. Meanwhile, her mother, Anitha Muvvala, who was the only person Chandramukhi spoke to before going missing, filed a Habeas Corpus petition in the Hyderabad High Court, The HC directed the police to produce Chandramukhi in the court by the morning of November 29. But as she returned the evening before, Chandramukhi went straight to the police station and then gave her statement in the court too. 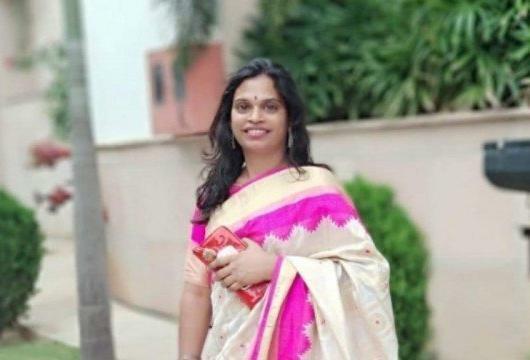 32-year-old Chandramukhi is contesting from Goshamahal constituency of Hyderabad district on a Bahujan Left Front ticket. This new party comprises 28 minor political parties spearheaded by the Communist Party of India (Marxist). A total of 28 candidates are contesting from Goshamahal, including Chandramukhi, MLA T Raja Singh of the BJP and senior Congress leader Mukhesh Goud. Chandramukhi revealed that on the morning of November 27, she went out of her house to deposit cash in an ATM close to her house, but on the way, two men threatened her at knife-point and took her phone away. After that she does not remember much because she could have blacked out. But she remembers that the kidnappers had fitted a device on her body and given her a set of earphones which was connected to somebody else who directed her on what she was to do next. She said that they threatened that they would kill her if she did not obey them. “I thought that it was a bomb. I thought that if I die today, then no one in my community would ever think of contesting an election and everyone will feel scared, so I listened to them and did as they asked me to do,” said Chandramukhi. According to her, somebody told her over phone to go straight to Vijaywada in Andhra Pradesh from Hyderabad (270 km away). They the guy on the other side of the earphone ordered her to buy two sets of clothing. They told her to go to Nellore (280 km from Vijaywada) then they instructed her to eat something. Then the voice told her to board a bus to Chennai (176 km from Nellore) where she reached on the morning of November 28. It was in Chennai that Chandramukhi saw a few transgender people that gave her the courage to throw the device away. She then asked an auto-rickshaw driver how she could go to Hyderabad. He took her to another bus stop where she took a bus till Tirupati and from there, she took another bus to Hyderabad. All this while, she kept thinking that she was being followed. It was when she reached the Jubilee bus stand, where transgender people usually meet, that she felt relieved. While the controversy has subsided for now, Chandramukhi is focusing on her campaigning. She recently had a roadshow which saw the presence of all transgender communities active in Telangana state. In 2014, the 99 Telugu News channel offered her a show to anchor and she did that for six months. Two years after that in 2016, a Telugu film director Teja gave Chandramukhi a role to play in his movie Nene Raju Nene Mantri alongside Rana Daggubati and Kajal Aggarwal. In those days, the CPIM also helped her and the other transgenders in stopping the Transgenders Bill and since then, she has been working for the party. “When it came to the topic of elections, my only issue is whenever there is a discussion around policy-making, transgender representation is always at a low. So I want to represent my people in the parliament and work towards the betterment of the trans community and we can only truly achieve that when we have representation in the government,” said Chandramukhi. “I don’t have interest in politics, but I want to change the politicians. The ruling media should change and speak up about transgenders if they are aware. I would have independently gone and spoken up about my community but the government won’t allow that,” she added, saying that political representation is important if we want a change in policies. She said that Goshamahal is a very popular place for the transgender community. “Many people over there take our blessings, so if our blessing has worked for people, then our representation will also work. I just want to say that for years we gave blessings to everybody. Today, we are asking for people’s votes to win and to have representation in the government because if people elect me, it will be a historic thing in India,” she stated.